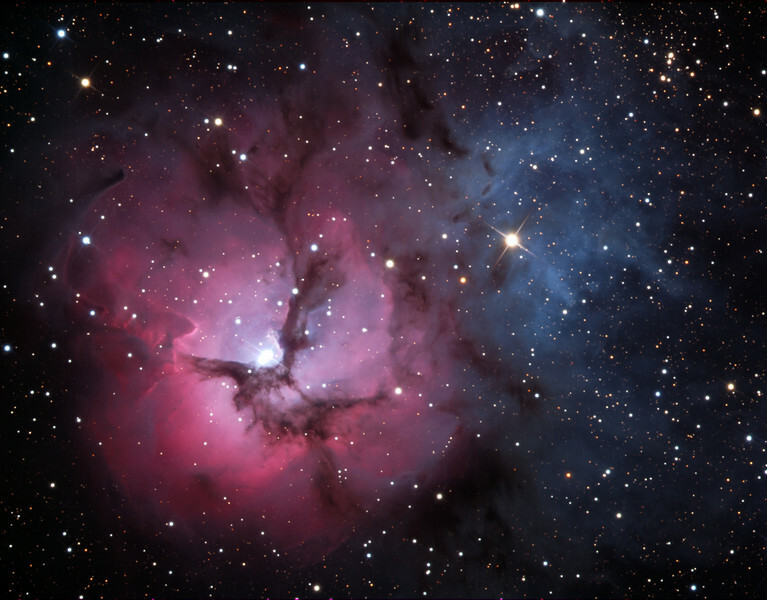 M20 Trifid and adjacent nebulae. Schulman Foundation 24 inch telescope on Mt. Lemmon, AZ. Local telescope operation and gray scale frames by Adam Block, University of Arizona. Pure RGB image, binned 1x1, total time 175 minutes. Processing by JDS. In memory of the late Dr. Lawrence A. Cone of Palm Springs, CA.